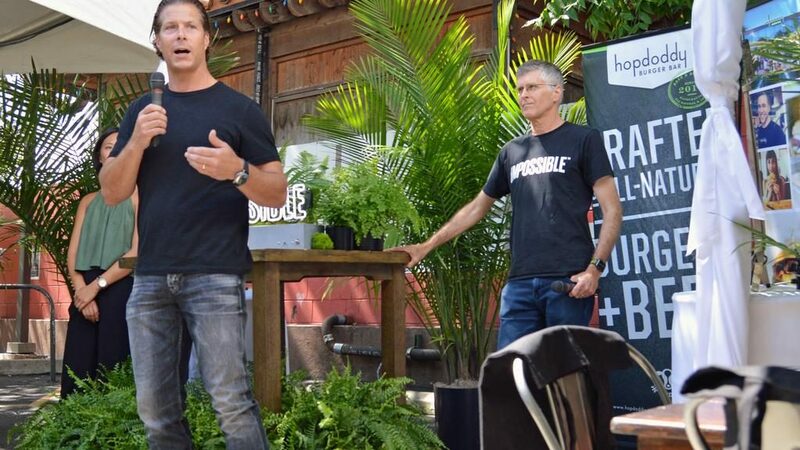 Last week, an interview with Jeff Chandler, CEO of Austin-based burger phenomenon Hopdoddy’s, caught Stout’s eye. Chandler revealed what guides him personally – People, Pride, Passion and Performance. Intrigued, we spoke with him ourselves (sadly, not over a delicious Hopdoddy burger) to dig a little deeper. 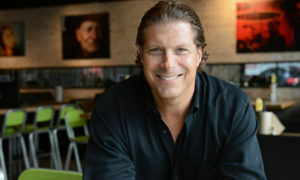 In addition to sharing his “4 Ps”, Chandler also told told Helen Lao of Clearpath Solutions that “true success comes through finding your style, your voice, through your convictions, passions and beliefs.” Since this month’s theme at Stout is about finding your voice and speaking up, we asked him to do a deep dive with us on the subject. Stout Magazine: When did you really feel like you found your voice? Jeff: I think everybody is a leader, and that finding your style is so important. So is purpose, passion . . . often times people don’t want to speak up, but doing so moves them forward. Once people get over themselves and speak their TRUE beliefs, I think that’s where people discover their truths and passion. It’s all about finding the confidence to bring out what’s inside. Stout Magazine: When has speaking up helped you? Jeff: This goes back to 6th or 7th grade – I had a speech impediment growing up, a bad lisp, and it affected my self confidence. I was petrified to speak up – every time I opened my mouth I feared I would be made fun of. My parents took me to therapy and I worked hard to overcome it. As I grew out of it, I was just so excited to be able to speak and communicate and be accepted for who I was. “I find a lot of value in certain people I work with. From Sr. Exec. team members to servers—I learn and grow from somebody around me every day”. Stout Magazine: Any instance when you wish you would have spoken up? When you wish you hadn’t? Jeff: Speaking up has gotten me into a lot of trouble sometimes, but I don’t regret saying those things – because they were my truths. The older and more experienced I became, the better I learned how to express myself—to be respectful and not an egotistical maniac – but I never have regretting speaking up. It served me well. For example, one time I was talking on a sensitive subject with a younger person. I laid it out for him, and over time, I could see his body language change. He was getting my message—I probably went heavier than I should have – but I knew right then and there, in a respectful non-threatening way, I could break him down (or break through to him) to truly understand that he needed to get over himself. I could see body language change as we talked. It’s ok – not everybody is going to agree with you. But I would rather say something than not. I personally hate the notion of regrets anyway; life is too short. Stout Magazine: What’s your power word? Is there a word that resonates with you…one you tell yourself to push through a difficult moment or situation? Or one that you use to motivate yourself or others? Jeff: That’s super simple: YES. Yes can be such an empowering word, with a ton of responsibility. The power of yes transcends something – it makes things possible. Particularly when you can find a way to take a leap of faith. Find a way to say yes and believe in people – and to challenge yourself by doing the things that scare you. Sometimes it gets me in trouble – like speaking up does – but I would rather find a way to say yes than be close-minded. However, if you say yes to something, it has got to be an educated yes, especially (if it involves) your people. Bottom line, the power to say yes yields more accountability, more drive, and at the end of the day, you’re pushing forward to more. Jeff: My wife, of course. Then, I listen to my inner voice and subconscious—let it go or step in. Outside of that, I also have my idea bouncers – no one famous, no one eloquent – just people with shared passion, experiences and/or priorities. Be Brave – Have a physical impediment like Chandler’s childhood lisp? Or just freeze up at the thought of speaking up? Either way, push through it. Find someone you can trust. Get help. Practice. Whether it’s speech therapy or joining Toastmasters to develop speaking experience, hold your head high and make your voice heard. Trust Yourself – It’s easier to make your voice heard when you truly believe in what you have to say. Make up your mind – then speak your mind. Don’t waver or doubt. Let your passion and confidence move you forward. Say Yes – When you do find your voice, put it to good use. Find challenges, ways to stretch yourself – and say yes to them. “No” stops progress in its tracks. “Yes” is the word of doers and leaders. Don’t Regret – Speaking up will not always make you popular. But if you speak your truth, with pure intentions, don’t be ashamed of your words. You can’t please everyone all of the time – but you can be true to yourself. Looking for more advice on learning to speak up? Check out this Stout article, How to Develop Your Unique Voice. Hopdoddy Burger Bar is an Austin-born burger joint that delivers fresh, all-natural Angus burgers alongside Kennebec hand cut fries, farm fresh salads and handcrafted milkshakes. 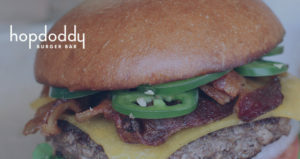 Founded in 2010, Hopdoddy now has locations in Texas, Arizona, Colorado and California.